Betsafe is a renowned online gambling operator that has attracted hundreds of thousands of players from over 100 countries around the world. Launched in 2006, Betsafe is home to a solid product offering of high-quality casino games that are courtesy of some of the leading software suppliers in the industry like Microgaming, NetEnt, Play’n GO, and IGT. The games on offer range from hundreds of enticing video slots and video poker variations to traditional casino games like poker, roulette, blackjack and baccarat. Registered players can also put their skills to the test by competing against Betsafe’s professional dealers in the Live Casino. 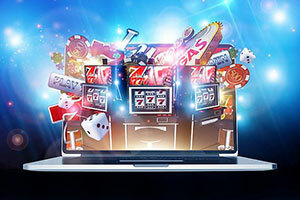 The casino’s website is available in several different languages, allowing non-English speaking players to manage their accounts, deposit and withdraw their funds, and enjoy the games on offer with ease. Betsafe casino provides excellent customer support to its registered patrons via email, a 24/7 live chat facility and over the telephone. Players get to choose from an extensive range of secure and convenient payment methods, including widespread options like Mastercard, Neteller, Visa, Skrill and Paysafecard. As today’s world is all about mobility, Betsafe Casino caters to the needs of its players by providing them with the option to enjoy their favourite games on the move. New and existing members of the casino are awarded various fantastic bonuses and can participate in a number of appealing promotional offers to boost their casino balance and extend their gaming sessions. Betsafe is licensed and regulated by some of the strictest regulatory bodies in the online gambling industry like the UK Gambling Commission, the Maltese Gaming Authority, and the Alderney Gambling Control Commission. Betsafe Casino was launched in January, 2006 and is operated by BML Group Ltd.
At the present moment, Betsafe does not offer a No Deposit bonus. 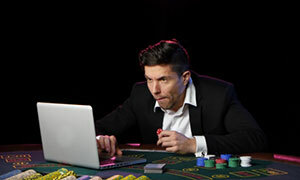 As promotional offers tend to change over time, players are advised to check the casino’s promotional section regularly to keep track of the latest offers available. 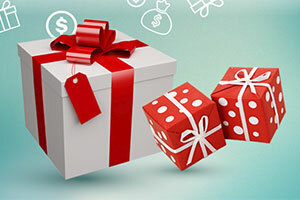 Non-UK players can get advantage of 100% match bonus of up to €50. 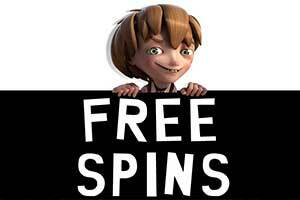 Players with over €25 first deposit are granted additional 20 free spins. The ongoing promotional offers include casino tournaments with hefty prize pools and daily Free, Big and Super Spins on selected slots. Poker players will benefit from Betsafe’s fantastic loyalty programme which encompasses four tiers – Silver, Gold, Platinum and Diamond. Players can earn cash rewards by exchanging the comp points they collect when wagering for real money. Betsafe utilises software by NetEnt, Microgaming, Play’n GO, IGT, Evolution Gaming, Leander Gaming, Push Gaming, Scientific Games, Elk Studios and Lightning Box. Popular progressive jackpot games include Mega Moolah, Joker Millions, Mega Fortune, Hall of Gods, and Piggy Bank. Betsafe is home to over 400 video slots, various video poker games, and casino classics like Casino Hold ‘em Poker, European and French Roulette, Double Exposure Blackjack, Baccarat, Pontoon, and Pai Gow Poker. Players can join the action in Immersive, Real Casino and Lounge Roulette, Blackjack and Live Baccarat, among other Live Dealer games. Betsafe accepts deposits via Visa, Mastercard, Maestro, Skrill, Neteller, Paysafecard, Entropay, instant banking by Citadel, bank transfers, Trustly and iDeal. Customer support can be reached via the 24/7 live chat facility, email at support-en@betsafe.com (response time 30-60 minutes) or by calling +44 808 238 0028. Betsafe holds licenses by the Malta Gaming Authority (MGA/CL1/1082/2015), the Alderney Gambling Control Commission and the UK Gambling Commission. Betsafe is one of the best online casinos where available games are concerned. This website is powered by many of the top software providers in the online gambling industry, more specifically, Microgaming, NetEnt, Evolution Gaming, Play’n GO, Pragmatic Play and others. All of these companies are highly respected and their games are loved throughout the industry. The gaming library at Betsafe Casino can be accessed by a variety of different means. 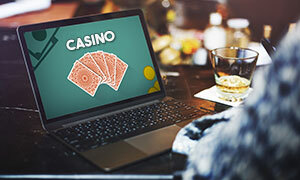 Desktop users can load the casino directly in the window of their browser and open the games with the click of a button. The instant play interface will allow PC users to immediately start placing bets without any preparation. Mobile users, on the other hand, will be able to download a dedicated Betsafe application for Android or iOS, or alternatively, load the casino website directly in the window of their browser. The slots selection of Betsafe Casino is one of the largest on the Internet. With over 1,000 unique games available, you will be able to browse for days on end. There is only so much that we can cover in this article, but we will give you some pointers regarding some of the best offerings at Betsafe Casino. The sheer number of slots featured at Betsafe is astounding and you will have a lot of choice about what to play. One of the easiest ways to categorise the slots at Betsafe is going by theme and aesthetic. Due to the vast quantity of games, there are many different types of slots and you will be sure to find something to your liking. Animal-themed slot games are some of the most popular in the genre and at Betsafe, you will be able to play Great Rhino, Silver Lioness 4x, Wild Swarm, Mad Monkey HQ and many more. If fruit-themed games are more your thing, then you should seriously consider Super Massive Respin, Laser Fruit, Fruit Spin, Very Fruity and a whole lot more. NetEnt’s music slots are always on the ‘favourites’ page and at Betsafe you will have at your disposal Motorhead, Guns N’ Roses, and Jimi Hendrix. The Viking theme is proving especially popular nowadays and many games are coming out in this style, some of which you will be able to play at Betsafe, such as Vikings Go To Hell, Viking Runecraft, Asgard, Vikings Go Berzerk and many more. Of course, grasping the sheer scope of the slots selection is difficult to do in an article, therefore, we recommend that you have a look for yourself and see what it has to offer. Roulette is an integral part of any online gaming library and Betsafe has several games that are certainly worth your time and attention. Betsafe offers roulette games suited to every budget, so regardless if you are a high roller or a budget player you will still have great titles to play. Roulette Low Stakes is the perfect game for those on a tight bankroll and it follows standard European rules. The betting limits range from £0.01 and go as high as £5,000. This title also offers a racetrack wheel, announced bets and a variety of helpful features such as a statistics panel and Quick Play. 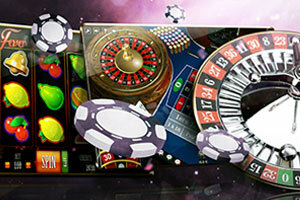 Roulette La Partage is a French variation of roulette available at Betsafe Casino. Not only does it feature the French layout of the table, but it also comes with the La Partage rule which reduces the house edge by half on even money bets. 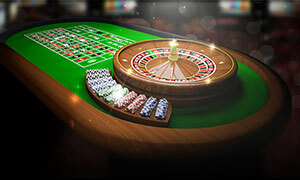 Betting limits of Roulette La Partage range from £1.00 to £300. Brought to you by Play’n GO, this roulette game comes with great visuals and buttery smooth 3D animations. Double Ball Roulette is a fun new iteration in the genre, as it is played with two balls rather than one. This opens up a variety of new opportunities within the game and it changes how certain winning bets pay when both balls are involved. For example, a Straight Up bet will payout 1200:1 if both ball land in the same pocket. Betting limits range from £0.10 to £100, making it suitable for a wide player base. Blackjack is a highly popular game genre at Betsafe Casino and there are more than enough titles for you to enjoy. Each comes with a slight twist in the game and thus, offers you an entirely different experience. Among the more popular variations, we find Single Deck Blackjack by NetEnt. As you would imagine, this game is only played with a single deck of cards, which greatly impacts the odds in your favour. A blackjack hand will pay the standard 3:2, while Insurance still pays 2:1 if the dealer hits a blackjack. Betting limits in the Standard game range from £1 to £40, but there is a version for casual players and high rollers, where the betting limits are adjusted appropriately. Perfect Pairs Blackjack is a nice variation of blackjack brought to you by Play’n GO. This game stands out with its fun side bets, which offer great payouts if you manage to achieve some form of pair. For example, a mixed pair with reward you with a payout of 6:1, while a pair of the same colour pays 12:1. A pair of the same suit, on the other hand, will pay a massive 25:1. All other payouts are standard, with every winning hand paying even money and a blackjack hand rewarding you with 3:2. Betting limits range from £0.50 to £500 for the main bet and up to £250 for a side bet. You would also do well to consider the several blackjack games where you can play with multiple hands at once. Games such as Blackjack 5-Hand, Multihand Blackjack Pro, and Blackjack Multihand are suited for those who like to play fast and large. Video poker is a great game to play at any online casino, but Betsafe offers some of the best video poker titles on the Internet. Here you will get to try your luck and skill on some of the most beloved variations of the game, which includes games such as Jacks or Better, Deuces Wild, and All American. Jacks or Better and Deuces Wild are creations of Microgaming and come mostly with similar features. 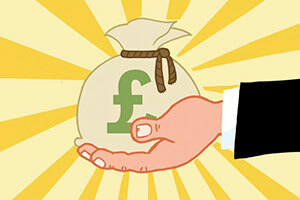 For one, players may wager up to 5 coins per hand, that can have a value between £0.05 and £5.00. When playing with 5 coins, both games have the potential to pay out 4,000 coins for a Royal Flush hand. The crowning feature of each game is different – Jacks or Better features a minimum qualifying hand of a pair of Jacks, whereas Deuces Wild uses the 2s in the deck as Wild cards, which can stand in for any other card in the game. All American comes to us courtesy of NetEnt and it is a variation of the Jacks or Better playstyle. The minimum qualifying hand in this game is a pair of Jacks and it offers a wide range of betting options. Players may bet up to 5 coins per hand, that can have an individual value between £0.10 and £10.00. A Royal Flush will pay the standard 4,000 coins if you wager 5 coins. Progressive jackpot games are very popular in today’s gambling industry and there are several dozens that you can enjoy at Betsafe Casino. These come in many forms, though usually, you will have them presented in slot form. There are several games in the jackpot section that stand out from the rest and you should seriously consider them. One is the Mega Moolah slot which is arguably the most played progressive game on the Internet. It comes looking as your average slot game, but attached to it is a progressive jackpot that rarely seen to be below 7-figure sums, making it highly appealing to anyone. 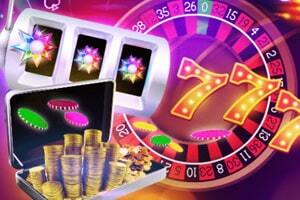 The game is relatively cheap to play, with the maximum bet going only as high as £6.25 per spin. Major Millions is a great progressive slot by Microgaming and it is one of the main games played at Betsafe Casino. It features a military theme about a Major giving away his fortune. It is specifically designed for budget players in mind, given the fact that the maximum bet only goes as high as £3.00 per spin. However, that does not reflect the progressive jackpot, which is often seen to be in the millions. There are more than 100 unique progressive jackpot games at Betsafe Casino and the ones listed above are only a drop in the bucket. 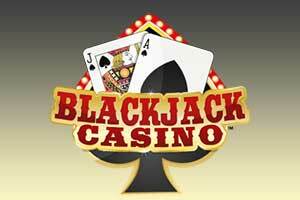 We highly recommend that you check out the jackpot section of the casino and see which games you like best. Betsafe Casino is one of the best websites on the Internet where you can play live dealer games. The selection of live titles at Betsafe is nothing to scoff at, with more than 100 individual tables available at any one time. Here you will find all-time casino classics, such as blackjack, baccarat, roulette, casino poker and others. Moreover, the games are designed for players of every budget, with some having a minimum bet of £0.10, while others starting at £50.00. There is a special sub-section of VIP Tables, which is designed with high rollers in mind. Most of the games are provided by Evolution Gaming and you should have no issue with their quality. What does the account verification entail? Due to security reasons, players who register an account at Betsafe are required to go through a verification procedure to confirm their identity. To verify their new accounts, players need to log in with their credentials, visit the section that reads “Your Details”, and upload scanned copies of the front and back of their ID cards or driver’s licenses, their credit cards, and recent utility bills. The copies of the utility bills are required so that the casino can verify the player’s permanent address. Typically, the verification process is completed within 24 hours after the player has provided the necessary documents. What payment methods does Betsafe support? Betsafe works with a wide range of payment methods so that there are suitable and convenient options for all players. Some of the most popular methods include credit and debit cards by Visa and Mastercard, e-wallets like Skrill, and Neteller, prepaid vouchers by Paysafecard, virtual Visa cards by Entropay, and instant bank transfers. With most of the available methods, the deposits are carried out instantly, although regular bank transfers may take a bit longer to process. The deposits of the players are held in separate bank accounts with regulated, tier-1 financial institutions. Is there a downloadable mobile application on offer? The answer is yes. Players, who are interested in enjoy their favourite casino games on their mobile devices can download and install Betsafe’s dedicated mobile applications for iOS and Android from the operator’s website. By doing so, players will also be able to engage in the Live Casino games which are streamed in excellent quality in real time. However, accessing the casino via your smartphone’s browser is also an option. Are there any wagering requirements attached to the casino bonuses? Yes, players who have claimed a Betsafe bonus must meet specific wagering requirements in order to clear the bonus and withdraw the bonus amount. For instance, if you have wagering requirements of 10x the bonus amount and you have claimed a £100 bonus, you are expected to wager a minimum of £1,000 of your own money before your winnings become withdrawable. If you fail to do so within the designated time, you will have your winnings declared void. I’ve played in a lot of online casinos and I can say that Betsafe is one of the safest and most reliable sites you can find, being part of the Betsson Group. 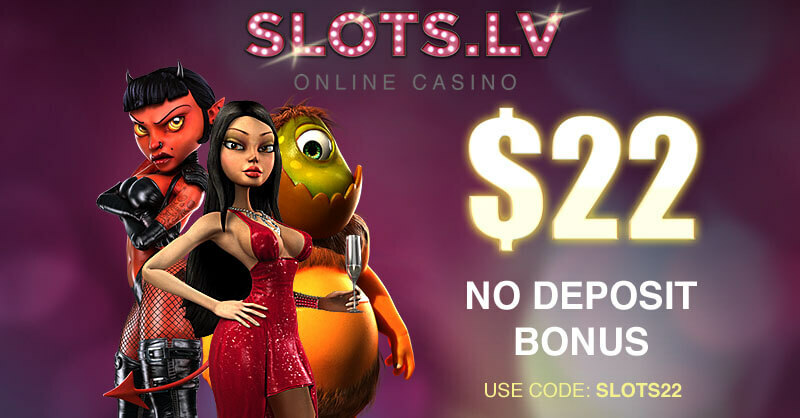 The games here are provided by multiple developers and you can find pretty much everything from slots and video poker to live casino and horse racing. I’ve had some issues in the beginning with the deposits and withdrawals, but after speaking to the live support, the problem was fixed. For those who wonder why their withdrawals are pending for a week, I would recommend that they upload their verification documents directly from the website. It’s really easy and won’t take more than a few minutes. The promotions are rare and occasionally, the casino gives you a reload bonus, which is average, at best. Other than that, the casino is legitimate, convenient and offers great entertainment. Betsafe is a wonderful casino with a good amount of games, fast and reliable support, and speedy withdrawals. When I request a withdrawal, my funds are usually transferred to my Skrill account on the same day. The first time it took longer, but this is normal because the casino first needs to verify your account and identity. Almost everything about Betsafe is perfect – the website has a great design and it’s really easy to use, while you can find everything you need within seconds. There is also a live chat feature, which is, in my opinion, essential for every online casino or any retailer on the Internet today. 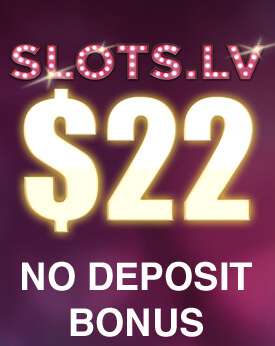 The bonus system, on the other hand, can be improved – the bonuses are nothing special, while at the same time, they need to be wagered 40 times, which is quite steep. Since I’ve registered at the website, it became my favourite casino. Apart from the slots and table games, Betsafe has massive sports betting and horse racing sections, and of course, it hosts its famous poker room, which I still haven’t visited, but plan to. I’ve never experienced any technical issues, the games work perfectly in-browser, the pages load instantly and the website has a modern, user-friendly design. I like playing video poker and slots, and I must say, the casino has been very generous to me. I’ve had several big wins of over £2,000, which may not be a huge sum for some high-rollers, but I’m a casual player, who has never deposited more than £50 at once. So, there isn’t actually a single thing I can complain about. I often play slots and virtual roulette at Betsafe, although it is more popular for its sportsbook and poker room. The casino section of the site has hundreds of games from NetEnt, WMS and other leading providers, so the variety is really impressive. I’ve contacted the customer service only once and the support agents were really friendly, answering my questions immediately. I haven’t experienced any issues with the withdrawal system and even my account verification lasted only a day after I sent all the papers. I only had difficulties meeting the 40x wagering requirement for the welcome bonus in time. The casino should really consider lowering it down to, let’s say, 25 times the amount of the bonus. Betsafe is one of the leading gambling operators right now and it’s fair to say their casino is trustworthy and yes, totally safe. For me, the site is really fantastic with a huge library of games from various providers – they even have a nice collection of video poker titles, which I often bet at. The slots are great and there are plenty of progressive jackpots, as well. The customer service is excellent, even though the live chat isn’t available 24/7. The deposits and withdrawals are also processed almost instantly, I think this is the best cashier system I’ve seen in an online casino. There are different bonuses for the different sections of the site – as I’m a casino player, I received 100% match bonuses on my first and third deposits, as well as a 50% match on the second one. Additionally, they gave me free spins on the Gonzo’s Quest slot, so I’m more than happy spending my money here.